Last time Finland sent monsters to Eurovision, they won the contest! 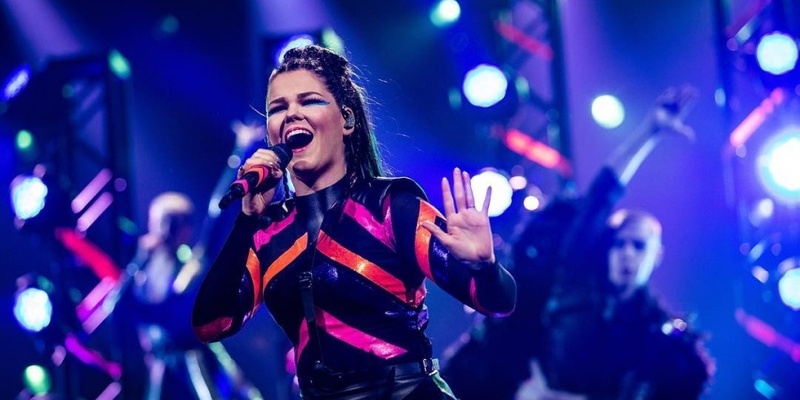 "My childhood dream is coming true" - this was the first reaction from Saara Aalto when she was invited by Finnish broadcaster YLE to represent Finland at Eurovision Song Contest 2018 in Lisbon. For the first time Finland has chosen it's artist internally – without a competition. And tonight the public and international juries chose Saara's Eurovision song in the live show "UMK 2018", hosted by Krista Siegfrids (Finland 2013) and Mikko Silvennoinen. Uuden Musiikin Kilpailu (UMK) 2018 took place on 3 March 2018 live from Espoo Metro Arena, but in another form that we're used to. Saara performed three songs, and the public and an international jury decided which of the three songs Saara will perform at Eurovision Song Contest 2018 in Lisbon. Both the international jury and the public gave most points to Monsters. Saara Sofia Aalto, 30, is from Oulunsalo, Finland. She is a singer, songwriter, and voice actress, most known for being the runner-up of The X Factor UK in 2016, where she impressed the British audience. Saara has already attempted to represent Finland three times: In 2010, 2011 and 2016. In 2010 she submitted her self-written song "Meant to Be", but didn't make it to the live show. In 2011 she went through to the UMK live shows with the song "Blessed With Love", where she finished second. She also finished second in UMK 2016 with her song "No Fear". Saara was revealed as a judge on X Factor Finland a few months ago. And by the way: Aalto was the most googled person in Finland in 2016! – Now we have one of the world's toughest singers and a terribly experienced performer. Saara Aalto wants Eurovision more than any person I know. – We believe strongly that the luminous Saara Aalto, who is building an international music career, is our secret weapon to success. We are putting all our best efforts into having three captivating songs and shows to choose from, with the best one to be staged in May in Lisbon, says UMK producer Anssi Autio. Finland 2017: Norma John - "Blackbird"
Finland debuted in the Eurovision Song Contest in 1961 and has participated ever since, except for six years, mostly because of last years bad position. The country has won the competition once, in 2006 with the song "Hard Rock Hallelujah", performed by Lordi. Since then Finland's best result is 11th place in 2014. Since the introductions of semi-finals in 2004, Finland has qualified for the Grand Final 7 out of 14 times.